After Building Cleaning Commercial & Residential Hillside SW19 | Quality Property Care Ltd.
Do not hesitate to get more detailed information about our top-notched and reliable after builders cleaning service! Contact our polite and understanding customer support representatives via this phone number: 020 3746 4287! Make a quick booking and deal with the grime without even sweating. We can start work only after the construction job has been fully finished, otherwise there will be interference from both teams. On the other hand we cannot assure the good finish we usually leave if there is still construction going on. We use professional and industrial equipment like pressure washers, vacs and scrubbers which allow us to get deep into the stain and remove it completely, without any hassle or damage. For domestic properties we have a special treatment method which de-limes and removes any surfaces that might have had paint on them. This removes all unpleasant residue, allowing our experts to properly remove any other dirt in the premise. 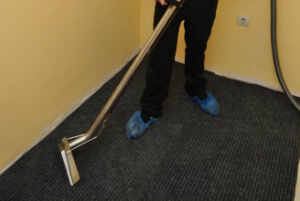 For offices and commercial properties we can accommodate your cleaning needs, and work late at night or early in the morning in order to get your property up and ready for work once again. There are without extra fees for weekend cleaning, though you better check back with us at 020 3746 4287. Renovations can not finish successfully in case you leave the mess after the building job. But cleaning all those stains, grime and dust is a huge challenge, isn`t this? The idea of Quality Property Care Ltd. friendly after builders cleaning company Hillside SW19 is to discharge from at least one of the chores you have during the repairs. Thus, you save money and time! And once the after builders cleaning is over, you will immediately be ready to see the final results of your building job. Sounds good, doesn’t it? In addition to this, you receive free cleaning tips from the helpful and enthusiastic after builders cleaners!